Get ready, make plans to attend this year’s Spring Fling. We will hold Spring Fling on Saturday, April 27, 2019 from 11am – 4pm. All the festivities will be held at Rec Center #1 – 7225 Greatwood Parkway. We have a great event planned for all our Greatwood residents. If you are interested in having a booth, please contact Jeanne Miller at jmiller@houcomm.com or Katie Discianno at kdiscianno@houcomm.com for more information. We are always looking to add booths to our event. 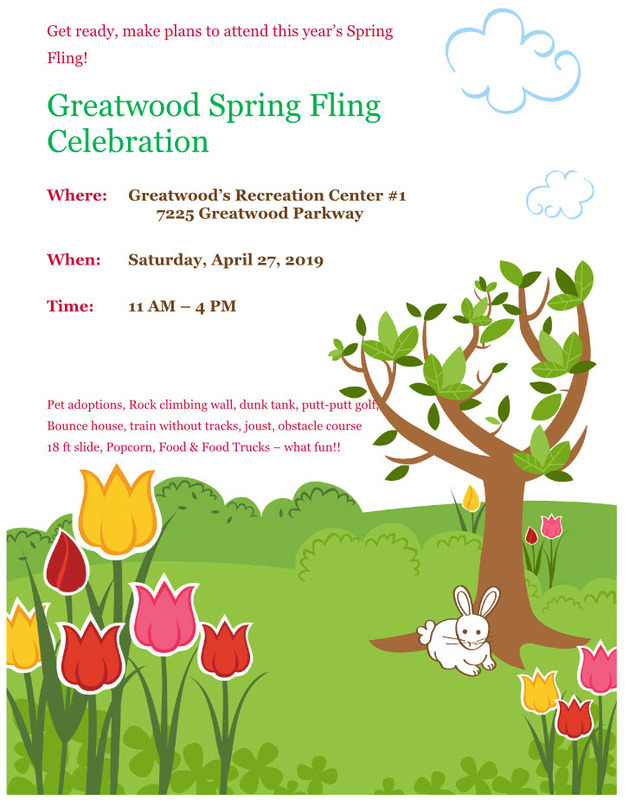 Look for more information on Spring Fling in the April newsletter and on the Greatwood website and also on TownSq..